Hungarian government’s 12.3 billion forint (EUR 38.5m) support for BMW’s investment in Debrecen, in eastern Hungary, will reap many times that amount in dividends for Hungary, Péter Szijjártó, the minister for foreign affairs and trade, said on Friday before signing the grant agreement with a representative of the German company. Szijjártó also announced at the signing ceremony that the government had decided to create a new transport node on the M35 motorway close to the site of the future BMW plant by expanding the access road and constructing a container terminal with an electrified rail link, as well as creating a new telecommunications and gas network. The plant will have capacity to manufacture 150,000 vehicles a year and will create over 1,000 jobs, the minister said. He called BMW’s investment a “special and rare success story”, adding that the manufacturer’s commitment to building a plant in Debrecen was a testament to the work ethic and talent of the Hungarian people, the professionalism of Debrecen’s residents and the Hungarian government’s economic policy. 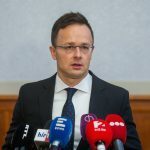 Szijjártó said the investment proved that the government had made the right decision in introducing Europe’s lowest corporate tax rate and the dual education system and in restructuring the higher education system. The value of the industry’s output came to 8,000 billion forints last year and this year it could exceed 9,000 billion, he said. Hungary exports 91.1 percent of the cars it produces, the minister added. 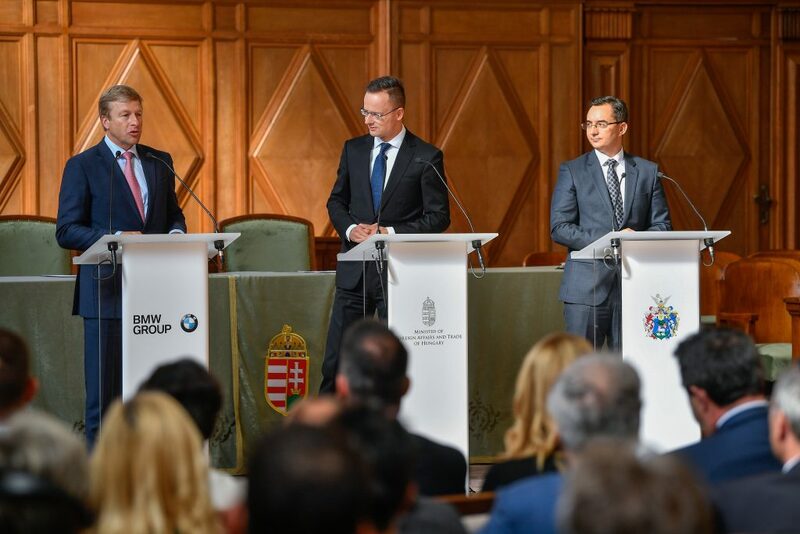 “BMW’s investment in Debrecen will help carry this momentum forward,” Szijjártó said, adding that the investment will create the conditions for Hungary to maintain an economic growth rate above 4 percent in the long run. He noted that there are 6,000 German companies doing business and employing 300,000 people in Hungary. Germany is the biggest investor in Hungary and the country’s top trading partner, he added. Hungarian exports to Germany this year are expected to exceed 30 billion euros, the minister said. Szijjártó thanked László Palkovics, the innovation and technology minister, for “taking the lion’s share of preparations for the investment”. Oliver Zipse, BMW’s board member for production, said the company had scouted over 160 locations in Europe before it “found what it was looking for in Debrecen”. He said preparatory works for the construction of the plant will start next year. Construction will begin once the environmental infrastructure for the plant is in place, he said.